Dscoop is the independent community of HP Graphics Solutions technology owners and technical professionals. Dscoop enables its user community to deliver on the promise of digital print by discussing best practices, networking with peers and year-round education opportunities. As a partner, locr will exhibit its geomarketing solutions at Dscoop in Grapevine, Texas on March 25-28. 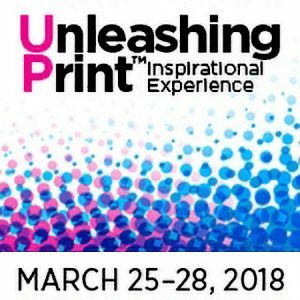 From booth #43 Randy and Thomas will showcase just the solutions you need in your marketing tool kit to create successful printed communications. “More and more, brand owners and marketers are discovering that print is still an essential element of a marketing campaign,” notes Randy Hardy, locr’s North American representative. Let’s Unleash the Power of Printed Communication! Partnering with Marketing Service Provider Varispark, locr will host a presentation that highlights how personalized maps enhance the value of print. HP Indigo users will share tips, results and the value-add they bring to clients using Geomarketing. Experts from industry leader locr will share case studies from marketing service providers around the world. The presentation will take place on Tuesday March 27th, at 2:15pm and 4:00pm. Where: Gaylord Resort in Grapevine, Texas. Meeting locr: Meet the locr team at booth #43 and don’t miss our presentation on Tuesday March 27th, at 2:15pm and 4:00pm.